Mike became DIBS’ first elected Board Chair in March 2017. He brings extensive finance, law and governance expertise to our Board, including experience having served as the Board President for the Heart Ministry Center in Omaha. As Board Chair, Mike is helping to establish the strategic priorities of DIBS and helping further establish our infrastructure as a social initiative. Mike is a tax director in the Omaha office of BKD, LLP. He provides a broad range of tax, accounting and business consulting services for individuals, closely held businesses and pass-through entities. His experience includes advising clients on organizational structures related to entity formation and succession planning, as well as developing tax-efficient strategies for corporate and partnership acquisitions and sales. He is a member of the American Institute of CPAs, the Nebraska Society of Certified Public Accountants, the US Tax Court and the California and Missouri bar associations. Mike is a 2001 graduate of Creighton University, Omaha, Nebraska, with a B.S.B.A. degree in accounting, and a 2004 graduate of Creighton University School of Law with a J.D. degree. 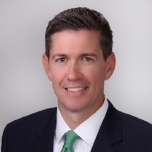 Scott Brown is a Regional Director of Business Development with Gallup. Brown is responsible for Gallup’s mid-market business development strategy. 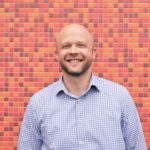 He manages an international sales team and oversees delivery of Gallup’s consulting solutions, which help organizations create exceptional workplaces. 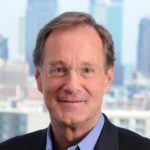 Prior to his current role, Brown was a Senior Consultant and responsible for business development and management of Gallup’s healthcare client relationships. In this role, he worked with clients to align the right Gallup teams and solutions to overcome their organizational challenges. 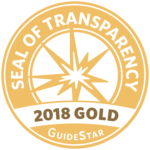 He excelled at helping his clients achieve improvements in human capital outcomes, talent selection, leadership development, succession planning, employee engagement, and patient and physician engagement. Brown received his bachelor’s degree in business administration from the University of Nebraska-Lincoln and master’s in business administration from the University of Nebraska-Omaha and is on the University of Nebraska-Omaha faculty. Ashley Kuhn is the President of Omaha-based construction and real estate services company Blair Freeman Group. Previously Kuhn was the Executive Vice President of White Lotus Group where she played a significant role in the evolution of the company from a startup to a well-known and reputable firm in Omaha. 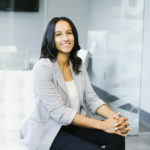 As a child, Ashley’s interest in real estate development was first sparked when she became fascinated with the differing conditions of real estate in her North Omaha Neighborhood. Her fascination led her to want a career as someone that is able to impact the face of real estate in Omaha. Ashley serves on the Board of Directors CREW Metro Omaha, is Chairman for Girls Inc.’s Girls Nite Out, is a Girls Inc. mentor, a member of the Omaha CRE Summit Planning Committee and the Secretary of DIBS for Kids’ Board of Directors. 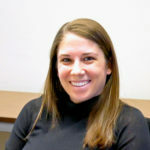 Kuhn majored in real estate/land use economics and investment finance at the University of Nebraska at Omaha, where she received a bachelor’s degree in business administration. Carolyn joined the DIBS team in August of 2018 after taking a step back from her career as a CPA to be home with her two young children. Carolyn received both her undergraduate degree in accounting and her Masters of Professional Accountancy from the University of Nebraska, Lincoln. With a focus on tax, Carolyn started her career with Deloitte, and spent the last 3 years with BKD, LLP. 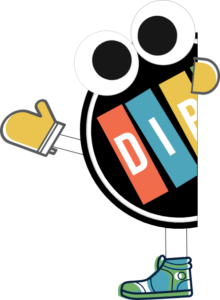 Carolyn was a member of the Volunteer Committee for the United Way Young Professionals group during her time at BKD, and is eager to apply what she learned from the UWYP’s book trust initiative to the DIBS for Kids program. 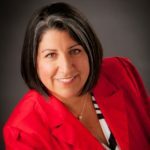 Author & CEO – Galindo Consulting Inc.
A former journalist and radio news personality, Linda Galindo made the shift to consulting, speaking and writing about accountability 20 years ago. Galindo speaks nationally on the topics of accountable leadership and creating the culture change to bring about an accountable organization. She serves as faculty for The Governance Institute and the Institute for Management Studies. 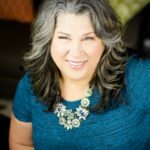 She speaks to leadership conferences nationally, is the author of The 85% Solution: How Personal Accountability Guarantees Success – No Nonsense, No Excuses, and was co-author of the recently released book Where Winners Live. David is a partner at the Kansas City law firm Berkowitz Oliver. He practices primarily in the area of complex business disputes and deals with issues of board governance and fiduciary duty claims. His civic activities include serving as a founding board member of The Alliance for Childhood Education; member of the education committee of the Nelson-Atkins Museum; and member of the advisory board of the Spencer Art Museum. He chaired the education committee of The Civic Council of Greater Kansas City for a number of years and is an emeritus board member of The Children’s Mercy Hospitals and Clinics. He is on the board of The Francis Family Foundation and is a trustee of the Murphy Charitable Fund. Cy Wakeman is a drama researcher, international leadership speaker, and consultant. In 2001, she founded Reality-Based Leadership. She is the author of three books: Reality-Based Leadership: Ditch the Drama, Restore Sanity to the Workplace and Turn Excuses Into Results (2010), NY Times Bestseller, The Reality-Based Rules of the Workplace: Know What Boosts Your Value, Kills Your Chances, and Will Make You Happier (2013), and her new release No Ego: How Leaders Can Cut the Cost of Workplace Drama, End Entitlement, and Drive Big Results (2017). In 2017 and 2018, she was named as one of the Top Global Leadership Gurus by Global Gurus, a Top 100 Leadership Expert to Follow on Twitter, and was deemed “the secret weapon to restoring sanity to the workplace.” Cy lives with her husband and 8 sons in Waterloo, Nebraska. Dr. Danita Webb has a passion for public education and a wealth of expertise and leadership. After spending years in the classroom as a teacher, Dr. Webb served as School Improvement Manager to Omaha Public Schools and now works as an Assistant Principal at Belvedere Elementary. In 2018, Dr. Webb was awarded Educator of the Year by Urban League of Nebraska Young Professionals. 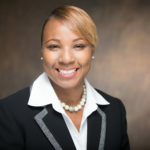 She has a long history of collaborating with the community and is particularly passionate about using research-based strategies and smart public policy to address the opportunity gap in high-poverty schools and neighborhoods. David is an Omaha-native and a vocal advocate for Omaha’s public school teachers. He is adamant that schools must rethink the way they support teachers. This stems from his experience as a 1st grade teacher where he served as a founding teacher of ARISE Academy charter school. David has experience helping launch and grow multiple other education reform organizations. 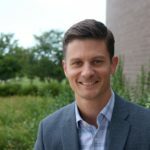 Since 2014 he has worked with the consulting firm FourPoint Education Partners to help Omaha Public Schools usher in two of its highest profile strategic initiatives. David was a Finalist for Tulane’s 2010 Urban Innovation Challenge and was named a Distinguished Educator by Turning Technologies. He holds a BSD in Architecture from the University of Nebraska-Lincoln.